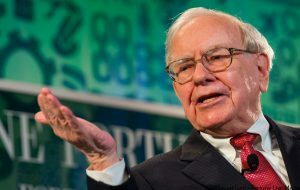 Warren Buffett is one of the richest people in the world, and he has been an inspiration to many. Here are some wise words that will help anyone in business. “Someone’s sitting in the shade today because someone planted a tree a long time ago” – The lesson here is to look at the future and see what methods of investing, saving or spending can help you lead a more comfortable life or one that achieves your goals or dreams. “Only buy something that you’d be perfectly happy to hold if the market shut down for ten years” – Invest in businesses that are stable but look at holding your investment for the long-term. As your investment matures, keep an eye on it to ensure that it is still valuable and your original reasons to buy still apply. “Cash … is to business as oxygen is to an individual: never thought about when it is present, the only thing in mind when it is absent” – This lesson is an important one, Buffett understands the importance of keeping an “Emergency fund.” Your emergency fund will help you face financial challenges with ease and eventually when you come out of it; your business will be stronger.